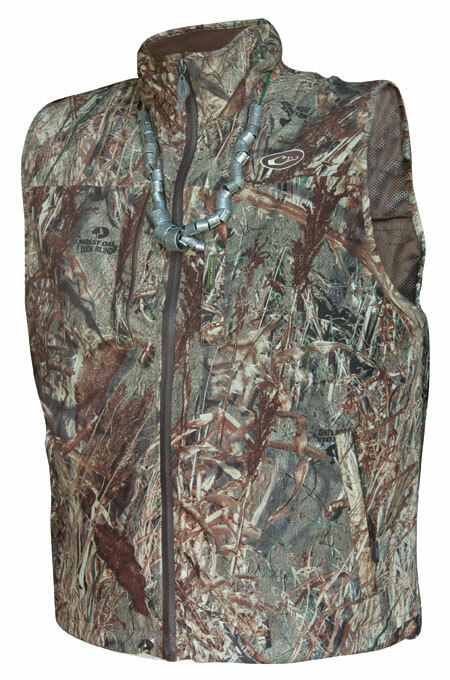 A full-featured waterproof/breathable vest designed for early season hunts. However, this vest is extremely versatile and can be worn in many hunting environments. Wear it over a lightweight shirt or base layer in warm weather as a waterproof barrier for your core area. Wear it over Drake Mid-Season Eqwader tops in cooler weather to gain full waterproof protection. Drake’s Instinctive Features™ deliver all the function you need from a hunting garment, while our HyperShield 2.0 Technology™ keep you protected from the elements where it counts.